I’ve talked about stories before. It’s probably one of my top 5 issues. Mostly because it goes by daily and we don’t notice its influence. We know about forgiveness. 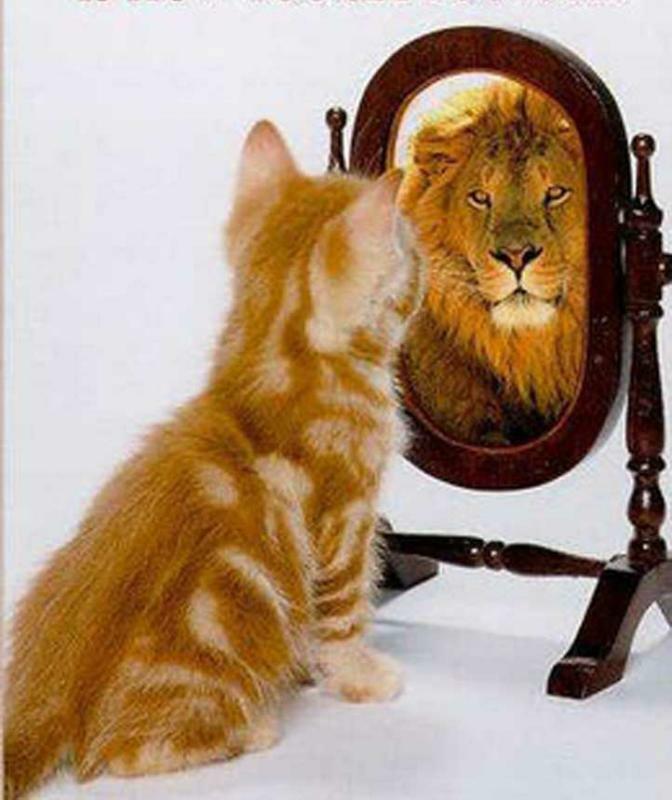 Change this one thing in your mind and so many other things fall into their perfect places. Probably 80% of us are on some type of self-improvement kick, but our story goes unnoticed. Maybe you have no idea what I am talking about. Okay, ground rules. This is non judgmental. No story is wrong. And no story is right. Mine is just mine. Not superior or inferior. We don’t always know who gave us our story, but we can notice that it’s there. It’s changeable if we decide to change it. Only we can change our story. We all have a story playing in the back of our minds. Some script we rule our lives by. Who is the bad guy to my good guy? What is my role in life? Notice the next time you’re in a room with a group of people. We all have our drink in hand or we’re standing around our cubicles. If someone is talking, someone is telling their story. What does their tale say about them as a person or community? What does it say about their belief in right and wrong? I’m really hesitant here to say much because I don’t want people to clam up around me. Maybe if I generalize, people won’t realize how much I listen to them. But specific instances would highlight my meaning. Are you the good parent? Your ex the bad one? Are you clever? Your classmates stupid? We like to talk about how we hate stupid people, but most of us cringe inside wondering if we’re the stupid person. Haven’t most of us went the wrong way on a one way road? Yikes. Okay, so I will dive in…. If I want to be the good guy, I have to cast someone in my life as bad. Usually we have regular cast members in our life that fill the roles we play. I’m the good one. The smart one. So you have to play my bad, stupid friend. Just kidding, not really you. The guy driving in front of you in the morning is stupid. Let’s use him. We can tell because he’s on his phone when he’s driving. Right? He forgot to use his turn signal also. Can’t he see how stupid he is? This also makes him a bad guy. He’s breaking your rules. What about when your ex forgets to tell you of an important birthday party for your 8-year-old daughter, planned for the weekend-your weekend? Of course you get angry. Rightfully so! You’re angry because once again he has proven how irresponsible he is. On the side note, he also proved how responsible and righteous you are. So when you tell the story of your ex and his lack of consideration and his lack of planning, you add any details to flower it up a little. The time he forgot to pack her toothbrush or her lunch for school. How her bedroom at his house still isn’t decorated. What a horrible father he is. By telling these things you aren’t really concerned about the toothbrush or the bedroom paint color. You’re telling your story. Your role in life. You are RESPONSIBLE! And don’t forget smart. We might as well walk up to people on the street wearing a t-shirt saying we are responsible and smart. I’m with Stupid (arrow pointing to the side). We could start our conversations with, I am so responsible. Let me tell you what happened today to prove it. Am I overdoing it? We all play roles in life. I have mine as well. Why do I have a blog? Why write a book or two? What’s my story? Shhhhhh..don’t tell if you know. Super undercover here. I want to tell you my story. At least one of them. I have a few. Some of them conflicting with each other. I grew up in a great home. We weren’t rich, but my family was hardworking. I was always proud that my last name was Bailey. It meant a lot to me. Strong, capable, enduring. I was a tiny girl in a small town. I was always trying to catch up with my brothers. If I could keep up, I felt big. My family had two businesses in a town the size of a peanut, so I didn’t feel obscure. I started kindergarten and graduated high school in the same town. Small town, small school. It was a perfect environment for me. I had lots of adults around me. And I have one very strong memory of a family in particular. Not only did I start and complete school in the same town, but my family went to the same church all of my life. From 8 years old and up. I was baptized in that church and got married there. They gave me my baby showers and poured a lot of love into me. The McAfees were a family that had helped start the church. They took me under their wings for some reason. Their oldest daughter gave me her paper doll collection when I was around 10. When I was 15 I volunteered to help in a summer children’s program. I went into the classroom expecting to be a helper and wound up being the teacher. Mrs. McAfee was my helper. She told me straight out that I would teach this class and she was only the helper. Stammering and stuttering…ummm. Why? Because that’s who she was. She saw something in me and wanted to encourage it to grow. It always makes me tear up. I feel so blessed to have grown up with people like that surrounding me. They loved me. And not only me, they did that with many children. It was their story. 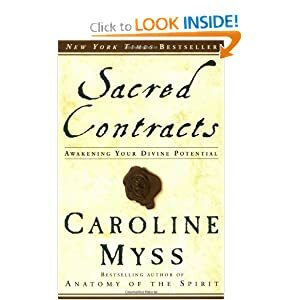 Carolyn Myss has a book called Sacred Contracts: Awakening Your Divine Potential. She talks about archetypes. If you have a chance to read it, I urge you to do so. 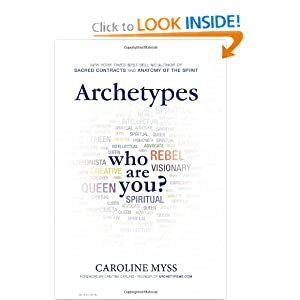 She has a new one which I haven’t read yet, called Archetypes: Who Are You?. Archetypes are stories. Roles that people play. One that seems the most obvious to me is Oprah. She plays a queen. Whatever your feelings towards this woman, you have to admit she’s a queen. She’s not evil, she’s not good, but she is in charge when she walks into a room. Just a quick note on role-playing. It’s one way to update your story. Role playing has a very powerful effect. People can often put psychological spells on you by putting you into a role, but you don’t have to play their game if you recognize what they are doing. Don’t play along. Walk away. ← Prince Charming – Did you hang up your hat?